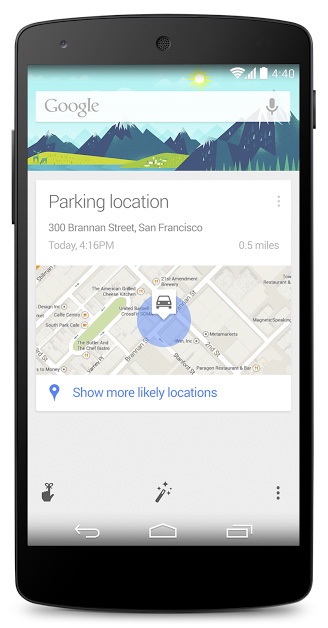 When you park your car, Google may ask you, do you want to be reminded of the car's location. When you say yes, it will add a card for the location of your car that you can go back to, to get walking directions back to the car. 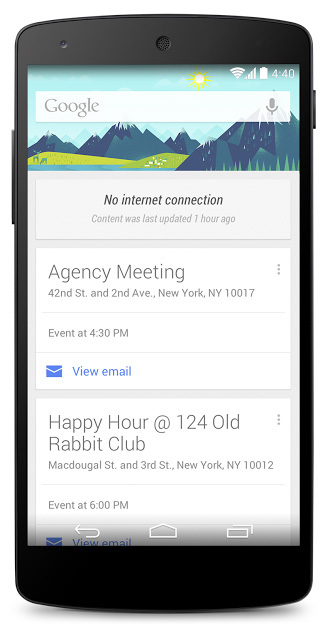 Google also enabled Google Now cards to work offline. So even if you do not have a strong internet connection, the Google Now cards will come up reminding you of appointments, and so forth. 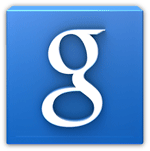 Google also added the ability to bring up Mall directories, when available. How often do you go to a mall and try to find those directories to locate a store? I go to a mall maybe once a year and I typically plan it out on the mall's web site prior. But when I don't, locating and then trying to get in front of people to see the actual directory map is not an easy task. 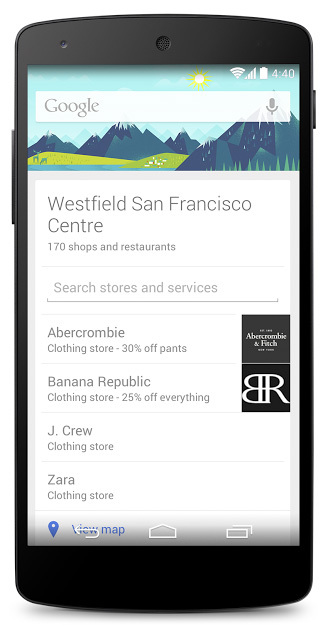 Google now shows it to you when you go to a mall. Maybe even showing you indoor maps when available. This is a bit creepy but cool, let's say you search for a pair of boots online but have not yet purchased it. 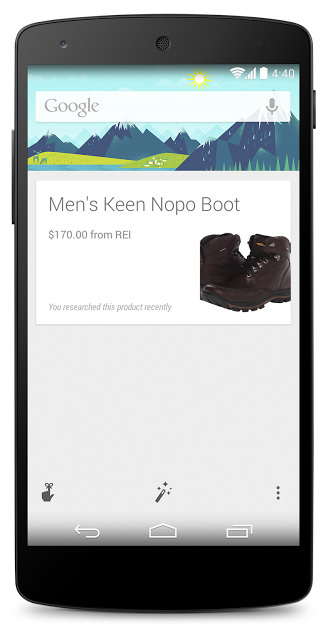 Google may show you a store in your immediate area when it detects that the store has those boots in inventory.